September 21 has been designated as the released date for Piano & A Microphone 1983, nine tracks of just Prince and a piano. ‘Mary Don’t You Weep’ was recorded at Prince’s home studio Paisley Park in Chanhassen, Minnesota. In 1983, when Prince was on the verge of finding worldwide fame with his breakout album and film, Purple Rain, he sat down at the piano at his home on Kiowa Trail in Chanhassen, Minnesota, and serenaded himself with an improvised medley of his latest material, singing along as he played. After he finished playing, the cassette tape recording of that day’s rehearsal was tucked away into his legendary vault for decades. In addition to spending untold hours in the studio recording demos and perfecting versions of the hundreds of songs that were released to the world, Prince was also known to record the jam sessions that occurred during his soundchecks on tour, his late-night rehearsals and collaborations with fellow musicians at Paisley Park, and his quiet moments in the studio or at home when he was just beginning to develop new ideas into songs. 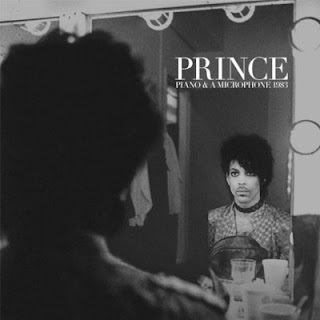 This September 21st, the timeless Prince back catalogue welcomes a new, special addition – ‘Piano & A Microphone 1983’: 9 tracks and 35 minutes of Prince – solo with just a piano and a microphone. The first track released from the private rehearsal recording is ‘Mary Don’t You Weep’, captured at Prince’s home studio in Chanhassen, Minnesota, providing a rare, intimate glimpse into the iconic artist’s creative process. The performance is a truly unique insight into Prince’s timeless genius.